When August rolls around, and the dog-days of summer are upon us, my thoughts turn towards Sunflowers. Next to Tulips (in May) and Columbines (in July), these are my favorite flowers. Are there any Colorado #photogs here that have leads on Sunflower fields in the northern Colorado area? Anyone interested in hunting for them? I need a fix again! 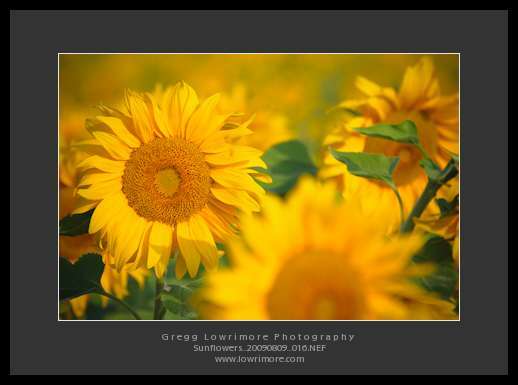 Posted in Fine Art, Nature and tagged August, sunflowers by greggl with no comments yet. Here’s a quick post on an image I took this past Saturday up in the White RIver National Forest — basically the area to the north of Vail, Colorado. This flower is a Columbine, the State Flower of Colorado. 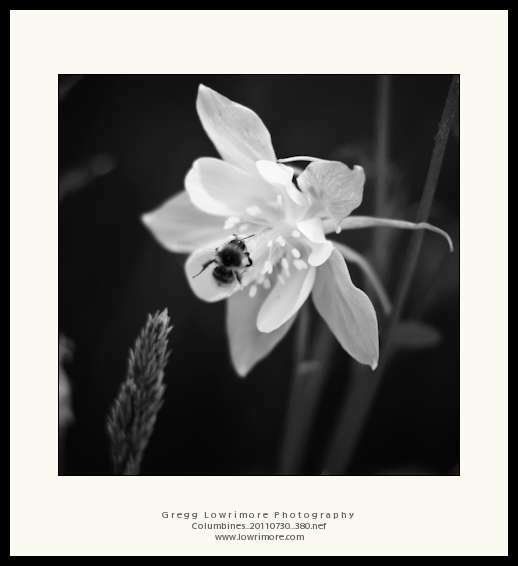 Posted in Fine Art and tagged B&W, bee, Columbine, white river national forest by greggl with 1 comment.